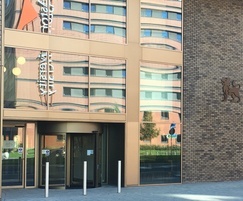 Consisting of 9,000m² of purpose designed teaching, rehearsal and state of the art performance space, the Conservatoire is a world class environment that inspires and impresses. The five performance venues and seven recording studios enable new ways of teaching, learning and practising. 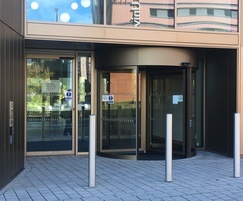 Delivering contemporary access solutions to this significant new development, TORMAX was contracted to install prestigious automatic revolving doors to the two main entrances as well as an automatic swing pass door and set of sliding doors. 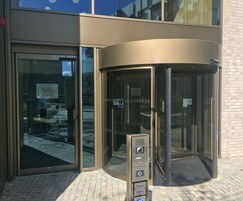 The 1301 swing door drive is from the technologically advanced iMotion range of Tormax operators, the motors of which feature none of the working parts that usually wear out, such as gears and brushes, making them one of the most durable and reliable on the market today. 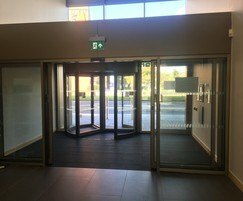 The internal set of bi-parting sliding doors are driven by two TORMAX 2201 operators which are housed in a particularly slim casing, offering an unobtrusive automation for the minimalist entrance. 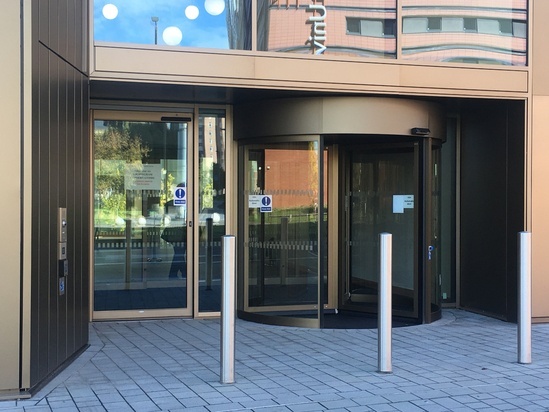 All the doors have a bronze anodised finish to harmonise with the modern façade of the building.